Analysis of silage is now common practice for both dairy and beef producers, but the use of foliar analysis for grazed grass is less widespread. 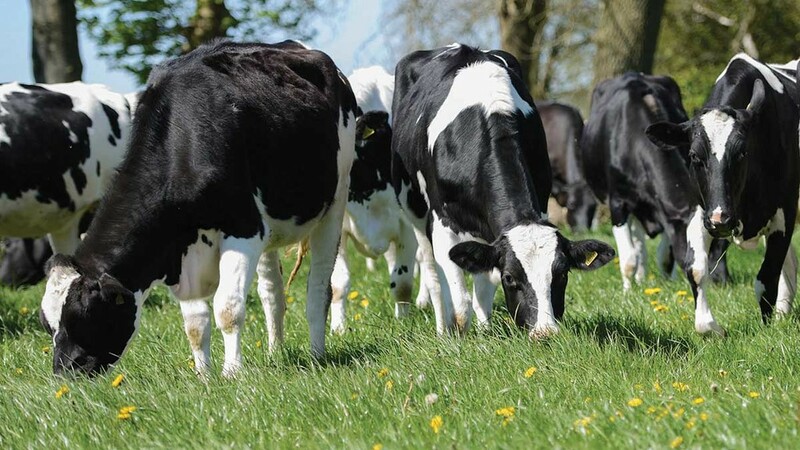 Producing more milk and meat from grass has been shown to increase margins, so knowing the nutritional value of grass should help farmers achieve this aim. Organic dairy producers are the main users of fresh grass foliar analysis, but the information the analysis provides is of relevance to conventional and organic producers alike. Rob Daykin, GB ruminant sales manager for Hi Peak Organic Feeds, says: “Foliar analysis is a valuable tool, allowing nutritionists and farmers to make important decisions about feed rations, but also the management of pasture. “Every farm has a field which cows graze well and produce more milk from, and those fields which perform poorly. Mr Daykin has led a study of the grazed grass quality on a number of clients’ farms across the UK, looking at key parameters including crude protein, dry matter, metabolisable energy and sugar, as well as various trace elements and minerals. “We have employed a research student from Harper Adams University to collect fresh grass samples from different farms across the UK. “This will allow us to establish a baseline for each area against which we can benchmark grass quality on different farms. Mr Daykin believes these analyses on a number of different farms at regular intervals over the grazing season for a period of several years will provide useful data to build a picture of the nutritional quality of grass. He says: “Once we have five years of data, it will provide a valuable predictive tool to allow us to identify when and where there might be deficiencies in nutritional value of grass. “We can also start to measure what grass is worth in terms of milk produced and how changes in weather and time of year will affect this. As the pressure to improve margins grows, Mr Daykin believes meat and milk production from grass must increase, so he says obtaining an accurate picture of what grass can produce is vital. The results of grass foliar analysis can be used to inform decisions on nutrient management of the crop as well as diet formulation.